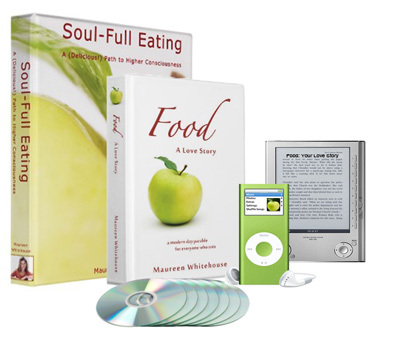 Soul-FullEating.com – Learn how to eat your way to Enlightenment with Maureen Whitehouse’s best-selling and award winning companion books, Soul-Full Eating: A (Delicious!) Path to Higher Consciousness and Food: A Love Story. EatWithSoul.com – Stop counting calories, carbs and pounds…and count your blessings instead! Learn more about Maureen’s ground-breaking program Food: A Love Story, 30 Days of Soul-Full Eating, based on her award-winning books. Read Maureen’s advise on the Parental Wisdom Website.